If you haven't met them, allow me to introduce RETRONYMS. . . I have just learned the term “retronym,” which has been causing me creative delight. It’s a wonderful word, and I hope I will remember to use it and—especially— think of it when it’s appropriate. 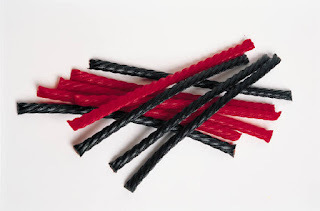 Here are four examples: black licorice; analog watch; acoustic guitar, straight razor. 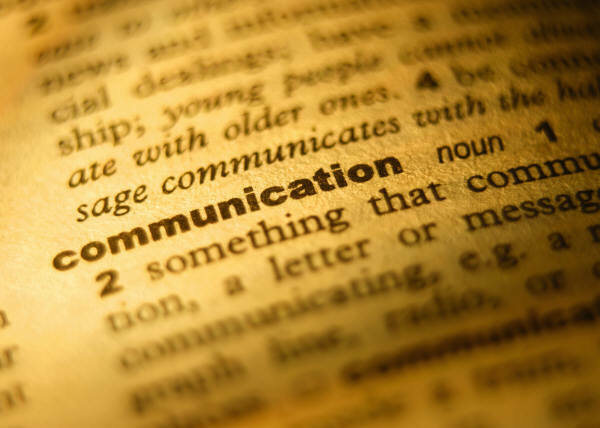 Given these examples, you probably can immediately ascertain what retronym means. Let’s see if I can describe it: A retronym is a noun that now requires a modifier to properly qualify its current definition, which—at one time—needed no modifier to mean the exact same thing! Wow—that’s convoluted. Take guitar, for instance. Originally, all guitars were acoustic. Initially, if a guitar had power, people described it as an “electric guitar.” In other words, people assumed acoustic unless the word was modified with “electric.” Not anymore. We have to add the descriptor “acoustic” to convey precise meaning. Razor. In the old days, all razors were straight razors. Then safety razors were invented. To describe the new-fangled razor with a protected cutting edge, people had to say “safety” when describing it. But now everyone assumes “safety” so now we say “straight” when we referring to the classic razor. Have fun finding retronyms, and if you’re inclined, comment on this blog post with the phrase you’ve found. 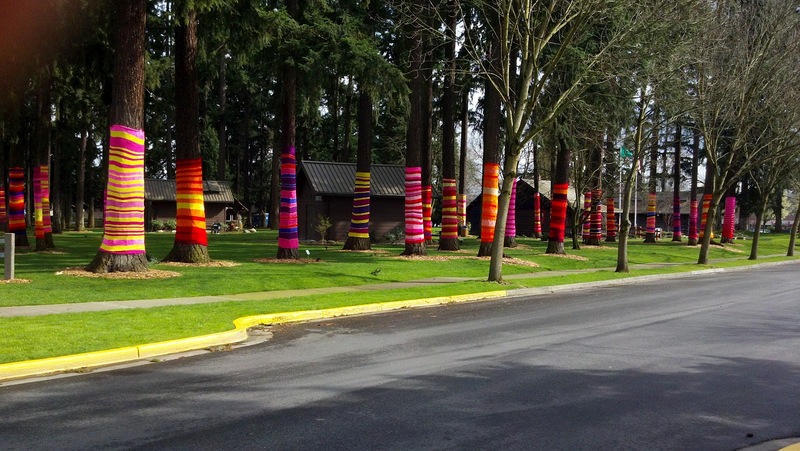 For an immediate lift of spirits, visit Redmond, Washington's Anderson Park where the fir trees are sporting the most glamorous leggings you've ever seen. 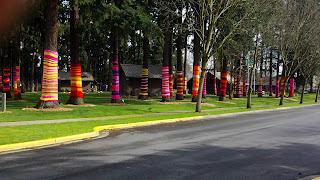 They were knitted by Suzanne Tidwell. 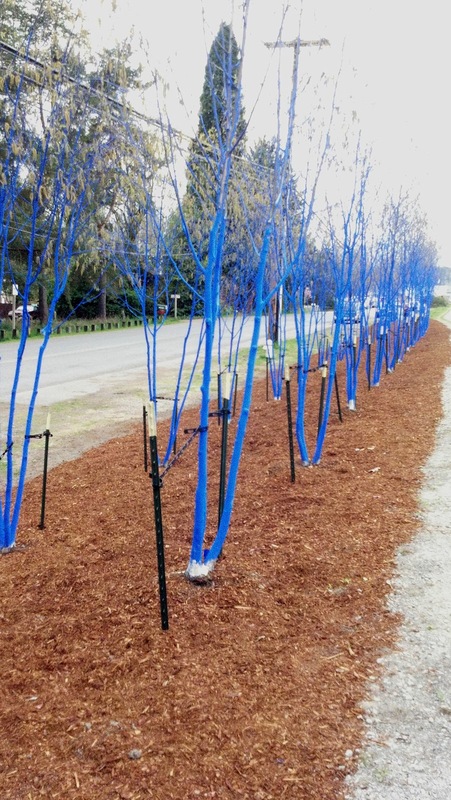 Or travel east toward Bothell from Seattle on Highway 522, and in the city of Kenmore you'll see trees that have been oh-so-carefully colored with blue paint (eco-safe) to bring to the casual passerby a breathtaking awareness of how precious the presence of flora is, and how devastating deforestation is for the globe. The artist is Kontantin Dimopoulos. 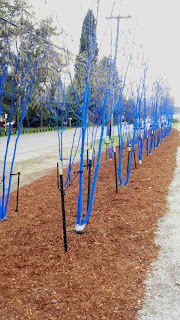 This picture of the blue trees is a month old, and now the leaves have emerged in lime-green contrast. Gorgeous! For months now, I’ve become increasingly annoyed over words that have been kidnapped from their rightful parts of speech and held hostage in another by today’s trendy usage. Fuming about them, I began to realize that thousands of nouns have become verbs over the centuries, or perhaps it happened the other way around. Verbs such as move, help, read, love, run, walk, jump, drive, weed, bridge are all nouns, and nouns such as champion, chair, dance, hop, fan, sweat, bloom are all verbs. It’s possible to think of a hundred such words in a minute, or so . . . which means, I suppose, that there’s no point in getting upset. Feel free to kidnap your own words and shove them into different parts of speech. Who knows, maybe someday you’ll be known as the person who coined a particular term ! Katie and Maddie gave me some new fine line markers for my birthday, which inspired this doodle. What could be more fun that thinking up egg designs? 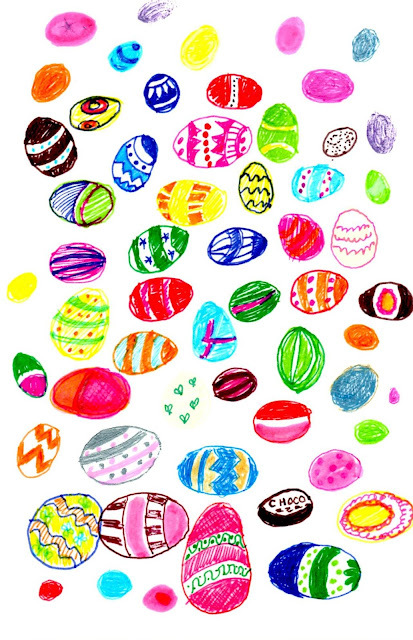 I have boiled up a dozen of the real thing to color Friday or Saturday. They won't be as pretty, but Hubby and I will enjoy them in our lunches for the next week. Halleluiah!